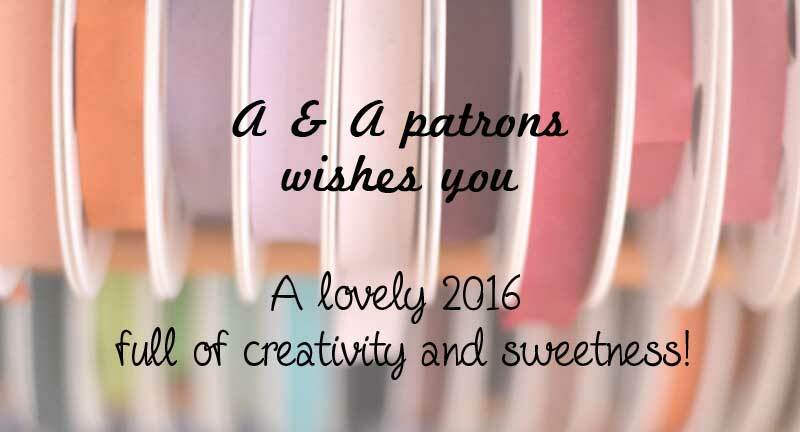 The small A&A team wishes you a wonderful year 2016, full of discoveries, sharing & creations! May this New Year allows you to bring success in all your projects. For this new year, we still have a thousand projects to realize and reveal. 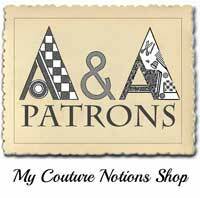 Not only for the website but also in pattern creation ... We look forward to tell you more in the coming months. We made a huge selection of sale items! Find on this page more than one hundred articles from -50%. You will find many fabrics but also balls of wool and cotton, lace, ribbons and braids. And to start the year, we changed our shipping rates . 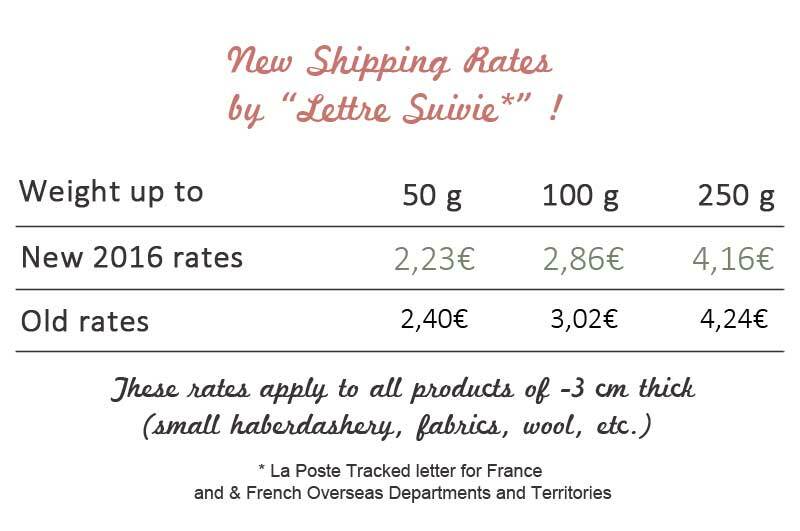 In addition to the usual types of delivery (Mondial Relay, Colissimo, Chronopost and free pickup at shop in Nantes), the "Lettre Suivie" is available depending on the weight even cheaper this year! Find here all the indications to estimate the shipping of your order from the cart.